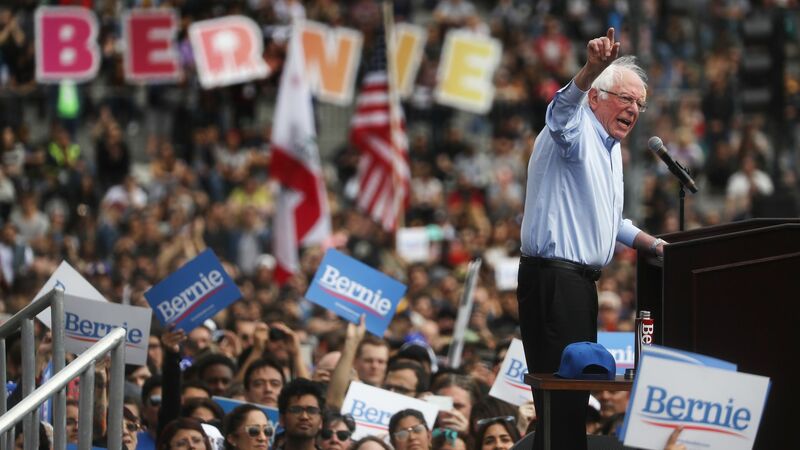 Bernie Sanders said Saturday during a visit to a Los Angeles mosque to honor New Zealand's terrorist attack victims Americans should "stand up to hatred of all kinds," the Los Angeles Times reports. The details: The 2020 presidential hopeful said at a later event in downtown Los Angeles the attacks on the two Christchurch mosques "shocked and disgusted" him, according to the LA Times. What he's saying: "As president of the United States, I will not have kind words to say about authoritarian leaders around the world who espouse bigotry and hatred," the Vermont senator told the 12,000-strong crowd. "Together we will make the United States the leader in the world in the fight for democracy and human rights."